Visit https://www.myprotein.com/myreferrals.list and log in to get started. You’ll find your unique referral code here along with some tools to help you share it. Once a friend of yours has signed up they need to make a purchase of £35 or more to unlock your bonus. Get hold of your friend’s referral code – they’re supplied with tools to help them share it on social media, by email or manually copy & pasting. Sign up to a new account via the link you’ve been provided with. Place an order of over £35. 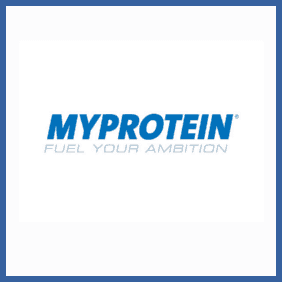 Refer your friends to online sports and training supplement retailer MyProtein and they’ll get themselves a nice 30% discount off their first order over £35. You’ll also get £10 as part of the deal.